UN, February 7. /TASS/. North Korea received nothing for its recognition of the reunification of Crimea with Russia, Moscow’s envoy to Pyongyang Alexander Matsegora told Russian journalists in New York on Tuesday. He also provided his opinion on relations between Moscow and Pyongyang and highlighted the transformation of North Korean society over the recent years. According to the Russian ambassador, the Democratic People's Republic of Korea (DPRK) "is one of the few countries nowadays which could afford to pursue an absolutely independent foreign policy." "We didn’t pay them a red cent for recognizing Crimea. They simply said: We believe that Crimea is Russian, therefore we recognized it as Russian. That is it," the envoy revealed. In October, North Korea issued a new political atlas of the world where it marked the Crimean Peninsula as Russian territory. 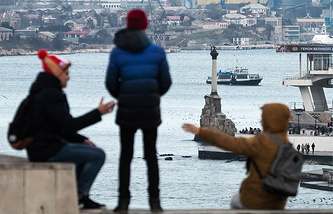 Matsegora later told TASS that the factual recognition of Crimea "happened back in 2014, right after the vote on the UN resolution on the territorial integrity of Ukraine." In March 2014, the UN General Assembly adopted by a majority vote (100), a resolution in support of the territorial integrity of Ukraine, which called upon states not to recognize the results of the Crimean referendum, which unanimously voted for the reunification with Russia. Eleven countries, namely Armenia, Belarus, Bolivia, Cuba, Nicaragua, North Korea, Russia, Sudan, Syria, Venezuela, and Zimbabwe voted against the UN resolution, 58 states abstained and 24 were absent at the meeting. Matsegora acknowledged that there are "very honest" relations between North Korea and Russia, which perhaps are "even better" than the two countries used to have "in certain years during the Soviet era." 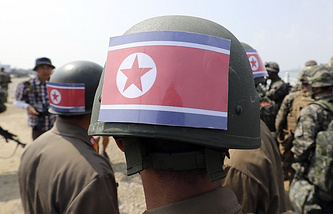 "We frankly stated our position to them, we openly said that we do not accept their nuclear status," the diplomat said. He noted that Pyongyang understands Moscow’s position and, as a result, right now out of all the "major powers", Russia has "the best relations" with North Korea. The envoy noted that it has had a positive impact on the work of Russian diplomats in the county. "They make an exception for us, they trust us. We are a friendly country for them," the Russian ambassador said, adding that ‘it is much more difficult" for representatives of Western countries. At the same time, he admitted that sanctions imposed on North Korea negatively affect the work of the Russian Embassy in Pyongyang. There were certain problems with the medical servicing of diplomats and their families, which required "titanic efforts" to be solved. Talking about living and working in Pyongyang, Ambassador Matsegora noted that North Korean citizens have recently been more willing to communicate. "They have become somewhat much more open now, simply because we can now meet them in many places. During the last five or six years, they have built a lot of sports grounds, swimming pools, [they play] bowling, squash, they have opened a lot of restaurants. We get together and talk there, so, from this point of view, they have become closer to us," he said. He further recalled that in his New Year's address, the country’s leader Kim Jong-un hailed the success of the North Korean military nuclear program, which allowed it to "fully guarantee" the country's security. 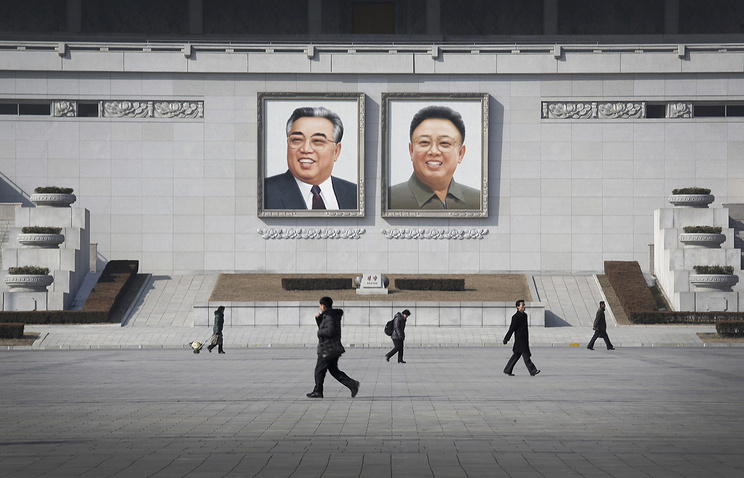 The diplomat therefore noted that Pyongyang is now focused on modernizing the nation’s economy. Its private entrepreneurship has been flourishing over the recent years, but it was badly damaged by the tightening of sanctions. Replying to the question about how the country managed to develop a nuclear bomb and ballistic missiles under the imposed punitive measures, the Russian envoy affirmed that it is due to the "incredible talent of the (North) Korean people" that played a "decisive role" here. He highlighted the ability of North Koreans to selflessly devote themselves to work and noted that the leadership of the country managed to concentrate resources in "pivotal spheres." Ambassador Matsegora specifically pointed out the role of Kim Jong-un, who was able to mobilize the country for the development of nuclear weapons. "I say this without any joy, because it has become a huge problem for us. This is just a fact," he emphasized.